अनुभव को सारांश में बताकर स्वयं प्रेरित होकर सबको प्रेरित करना चाहता हूँ !! When These Recruiters Understand The Value Of Someone's Time ?? Today, I attend a interview conducted by some hiring agencies, Actually two agencies call me for same job profile and company, ! I went to that company, today in Noida, Sector -10, For Seo Expert Profile ! One of the person who is company's emplyoee tell me to sit in sofa and ask me to show my resume ! Now his first question was "tell me about yourself ! ( अपने बारे में बताओ )", I have never thought that after mentioning everything about me in resume, he will ask like this ! I said Sir, everything is mentioned in resume so why you ask about my self ! then he said, Tell me more about yourself ( कुछ और बताओ ) ,Actually, I don't what's the professional language and who announce english as a global or universal language but the interview taker himself ask questions in hindi and expecting me to tell in english, I read his eyes and tell everything in english that after left my btech in 3rd year, I engage to blogging,designing and content writing. Then he said, it's good that you have skills more than one. Nice One, But we are looking for professional designer who can make psd images in adobe and other editing tools,software & can understand client's requirment to make website. I said I have experienced in Wordpress & Blogspot, I can guide as well and can make posts,posters,logo if i get tools,software like corel,adobe photoshop by your other employees. He said but we don't you to be work like this, We expecting someone who can understand client's requirment completely and can make site step by step like map. After listening this, I said , Sir why are you asking me about this when I came for another profile ! Interview taker ask, which profile ? I said ! - Seo Expert ! 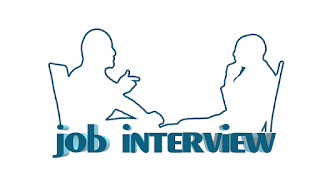 Then he said, Sorry Sir, Sir who take interview for S.E.O. profile is not available right now, so we will let you know when he come. He said - please wait outside, I wait for 5 minutes , then he come again and said, Sorry Sir, he will not available today so we will inform you from our H.R. if he will be available ! Thanking You Sir ! Have a good day and this happened with me today !! I don't get rejection for my skills but this things happened alot nowadays ! When these recruiters understand the value of someone's time ?? Now i think it's good to be a freelancers rather than working employed under Company !